Every four years in soccer the FIFA World Cup releases the groups for the preliminary round of the tournament. Well, in the upcoming American Senior Legion Baseball State Tournament “groups” have been replaced with “pods” and the term “pod of death” seems a bit morbid for summer baseball. Staying away from the macabre, the “pod of unpleasantness” seems a better handle for what, on paper anyway, looks to be the most difficult pod to compete in when the tournament begins Saturday. This season, that honor would go to Pod E, featuring No. 1 Hamden (17-3, Zone 2), No. 2 Southington (20-8, Zone 3), No. 3 Trumbull (16-8, Zone 4) and No. 4 Bethel (15-9, Zone 5). The pod-style tournament is a new concept for Legion this season. In the new format, teams have been split into pods of four teams with four pods in the Northern Division (A, B, C, D) and four pods in the Southern Division (E, F, G, H). The teams in each pod come from different zones with No. 1 seeds from one Zone playing No. 4 seeds from another Zone while No. 2 and 3 seeds lock up. The higher seeds get to play at home. Beginning Saturday, each pod will compete in a double-elimination tournament with the eight pod winners advancing to the Super Regionals. The last few seasons, regular-season Zone winners were awarded byes to a best-of-3 regional while teams that did not win the zone were thrown into single-elimination first-and-second-round games. Even though his team ended up in the “pod of unpleasantness” Trumbull coach Jack McFarland prefers the new format. The Super Regionals remain double-elimination. The winner of the Southern Super Regional and Northern Super Regional will meet in a best-of-3 series for the state championship at Ceppa Field in Meriden. Last year’s state champion, Stamford, had to fight through two single-elimination games before reaching the Super Regionals. This year as a Zone winner, Stamford would have preferred getting the bye Zone winners used to receive but is ready for pod play. Any worry Stamford has over the new format is eased slightly by the depth of its pitching staff. The rotation is not set for Stamford but with pitchers like Aaron D’Annolfo, John MacDonald, Blake Newcomer, Adam Stone and Bobby Cribbin along with a stout supply of relief arms, runs will not be easy to come by for the fellow members of Pod G.
Stamford (22-2, Zone 4) will face either Meriden or Guilford (both tied in Zone 3) while Branford (16-5 Zone 2) travels to Naugatuck (16-8, Zone 5) to round out the pod. Stamford enters the tournament with the best record in the state during the regular season. Back to the “Pod of Unpleasantness,” Trumbull comes in as the third seed and will play at Southington, which finished behind one of the tournament favorites, Cheshire, in Zone 3. Hamden won Zone 2 for the first time in over 20 years and will host Bethel Saturday. Trumbull may have the ace of the pod in pitcher Ben Fero and sports a deep lineup and solid defense anchored by 6-foot-5-inch standout shortstop Jack Lynch. Whichever team comes out of this pod will be battle-tested for sure, they just hope not to have their pitching in tatters as a result. Pod F will not be much easier with four quality teams coming out of deep zones. Along with Stamford, Cheshire comes into the tournament with all eyes on it. As the No. 1 seed in Pod F, Cheshire (25-3, Zone 3) hosts Stratford (13-8, Zone 2), which qualified in part because Orange lost three games in the final two days of the season to North Haven, dropping out of the playoff spot. In the other Pod F game, Waterbury (15-9, Zone 5), which is always dangerous in this tournament, travels to Wilton (18-6). Wilton had a resurgent season, finishing second in Zone 4 for its best finish in the Zone in over a decade. Wilton is hot, having won five straight coming into the tournament, and despite having a young team has won a lot of close games this summer. It will need to be firing on all cylinders if it hopes to knock off a Cheshire team featuring many players from the CIAC Class LL championship team. Westport (13-11) is the last team out of Zone 4 to make the tournament and will be the No. 4 seed in Pod H, taking on No. 1 Oakville (18-6, Zone 5). 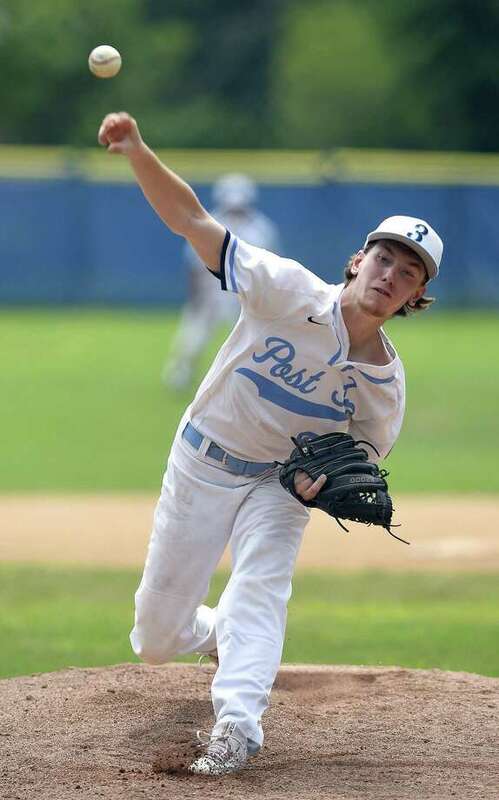 Westport, like Wilton, had a resurgent season with several players from Staples on the team including standout pitcher Harry Azadian, catcher Kevin Stone and centerfielder Chris Drbal. The rest of Pod H kicks off with Middletown (16-12, Zone 3) going to North Haven (16-5, Zone 2) on Saturday. The tournament is scheduled to continue with pod play games Sunday, Tuesday and Wednesday.